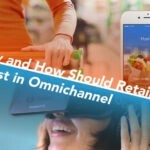 With omnichannel retail fast becoming a reality, it’s imperative that retailers connect to customers across all touch points, digital and physical. According to a recent study, companies with omnichannel customer engagement strategies retain 89% of customers on average. One of the factors playing a critical role in today’s omnichannel retail is smartphones. Last year, the sales from mobile devices in the U.S alone jumped 56% to $49.2 billion, doubling the previous year’s growth, according to comScore. In order to leverage this growing trend, retailers have been building exclusive mobile apps for their stores in order to deliver personalized and curated mobile experiences. A good way to make retail mobile apps more engaging and impactful is to stitch location intelligence into the app, by offering location-based features. In a poll conducted by GPS Shopper and comScore, 27% of customers agreed that location specific tools are the most important feature of a retailer’s mobile app. 27% of customers cited location specific tools as the most important feature of retail apps. In this post, we discuss the top location-based features that every retail app should have in order to ensure sustained brand loyalty and retail success. One of the first steps that retailers should consider while integrating location features into apps, is to digitally index the physical store in order to build a product finder in the retail app. Digitally indexing the store helps in understanding the store layout better and helps customers to easily locate products and services in the store. This index needs to be constantly updated in order to reflect precise data at any given point in time. Digital indexing also enables retailers to build additional valuable, interactive and functional layers on the app (as well as mobile web), such as product search, in-store navigation, mobile coupons and other location features. A good example of this can be seen in the retail chain, Walmart’s app. Walmart was among the first few retailers to geofence all of its 4300 stores, thus mapping all their physical stores in order to send location-based notifications to shoppers. 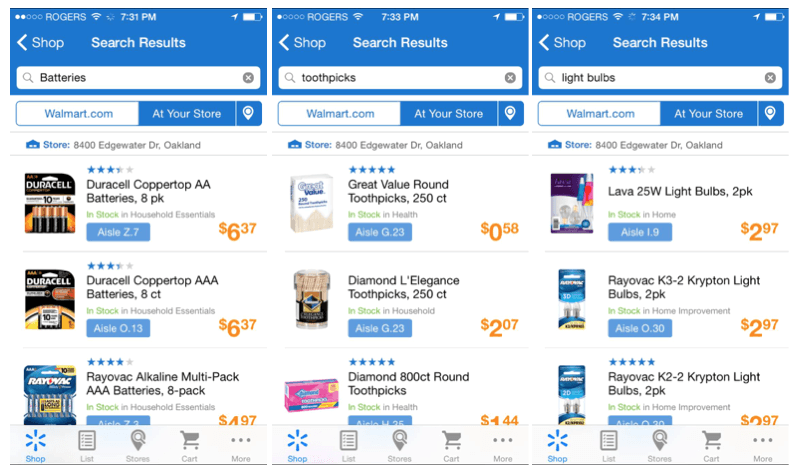 The ‘Search My Store’ feature on the app allows in-store shoppers to search for products from the store’s real-time inventory. This unique search allows shoppers to easily find details about products, pricing and the precise in-store location of products. While location-based content and notifications bring value to customers, personalized content can greatly enhance in-store experiences and can prove to be a game changer in the retail industry. iBeacon technology is a great option to bring together both personal and hyper-local experiences in an app. Beacons at a store help in delivering specific content and notifications such as tailored offers, product reviews, sales assistance and other valuable functions directly to the apps on customers’ smartphones, when they are at specific sections of the store. In addition, iBeacon technology can also be leveraged to integrate online and in-store customer journeys and deliver highly personalized content on the app. An interesting examples of this can be seen at the luxury retail chain, Barneys New York. The store’s retail app leverages beacons to send personalized editorial content such as videos, copy and look books to customers. The app also sends personalized notifications to customers. For instance, if a customer approaches a product saved on his/her mobile shopping cart or wishlist, a relevant push notification about the product (like product information, reminders, product reviews etc.) will be sent to the customer. Efficient and timely customer service is one of the surest ways to enhance in-store experiences. In today’s smartphone first economy, a good way to deliver efficient customer service is by allowing customers to call for sales or concierge assistance directly from their smartphones. Beacon-enabled retail apps with a concierge button can be leveraged to deliver such services, by triangulating the exact location of the customer in the store. This feature is especially useful in large supermarkets or retail stores where sales associates may not be in close vicinity of all shoppers. Supermarket chain, Waitrose, uses beacons to deliver such app based concierge assistance services. Customers with the store’s app can call for assistance and simultaneously the store’s staff will receive the request on an iPad. A good retail app feature to have in today’s omnichannel retail space is ‘click and collect’ (also known as in-store pickup), since it introduces more flexibility to customers’ shopping experiences. With this feature, a customer can easily place an order online and collect the purchased items from the store at a convenient time. This facility involves the use of two location-based technologies – iBeacon and geofencing in order to optimise the delivery process, by reducing wait time in queues and scheduled home deliveries. For a step-by-step guide on setting up a ‘click and collect’ feature on an app using beacons and geofencing, you can read our earlier blog. The Australian supermarket chain, Woolworths, has enabled ‘click and collect’ facilities powered by beacons at 254 of its stores. As a part of this service, when a click-and-collect customer comes within a certain radius of the store, a notification is sent to the Woolworths’ picking systems and the store staff are also prompted to start packing the order. In addition, specific triggers at different stages of the fulfilment process prompts the customer through the app (via a push notification), informing them when the order is ready. Accurate location data from beacons and geo-fencing can be combined with floor maps in order to provide precise navigation support to in-store customers. A clear and well laid out floor map can be extremely useful for customers who are exploring the store or looking for specific products/sections in huge stores or supermarkets. In fact, beacons can also be leveraged to send turn-by-turn directions to customers straight through the app. Luxury retail store, Barneys New York is a good example of a retail store using beacons to help customers navigate the shop floor. While iBeacon technology is a good way to provide navigation assistance, another way of delivering similar guidance at stores is to provide customers with free Wi-Fi. Customers can tap into the store’s free Wi-Fi to view the store map on the store’s app or mobile website. Another nifty location-based app feature that retailers can have on their app is mobile proximity payments. Retailers can leverage technologies like iBeacon and NFC to provide quick, easy and transparent mobile payment solutions to customers. For example, French supermarket, Casino used NFC tags on all products intheir shop shelf in order to optimise the purchasing process. Customers just had to place their phones against the tags to update the purchase on the store’s mobile app. Once they completed their purchases they just had to make the final payment through their phones at the store’s billing counter. Thus, retailers have a host of ways to provide intelligent location-based app features that benefit both customers and the business. An important aspect to be kept in mind while integrating location-based features is to ensure that the real pain points of customers are addressed be it reducing wait times or providing efficient in-store support. With many big box retailers already integrating location features to their apps, it is only a matter of time before even small and medium retailers leverage location technologies.